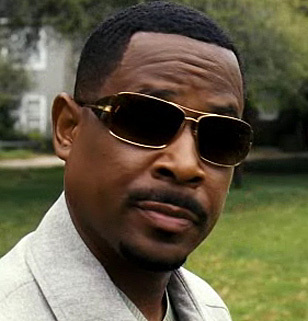 Martin Lawrence portrays the talk-show sensation Dr. RJ Stevens in the 2008 movie Welcome Home Roscoe Jenkins. He wears several pairs of sunglasses. He was spotted with this pair on the set: Prada 55HS sunglasses, with their havana frames and brown gradient lenses. This pair is apparently good for men and women, because Jada Pinkett Smith (wife of Will Smith, Martin Lawrence's buddy from Bad Boys) wears exactly the same pair in the film The Women. 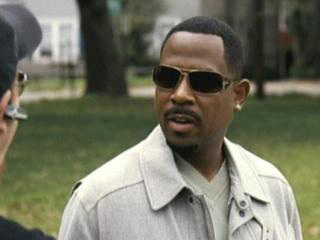 In the same film Martin Lawrence also wears a pair of Dolce & Gabbana 2001 sunglasses.